„Where was that explanatory leaflet stored again? How can I find the process of a sales talk?“ Do these questions sound familiar? Especially when I’m looking for specific information in my job, I cannot remember where exactly I read it and where to find it again. This also happens a lot when it comes to e-learning. True enough, I always have the option to re-access the contents of an online course, also after course completion. But if I have to click through courses and documents for what feels like forever, I quickly do not feel like searching any longer. It does not have to be like that! May we introduce: the new search function for learning content. Easily keep track with the new search function! With the new search function in Coursepath, you will find the desired content in a trice. By clicking the magnifier, which can always be accessed via the menu bar next to the profile picture, you will get to the internal academy search engine. Simply enter the term you are looking for and Coursepath will search the whole academy for results. Not only course names, but also the contents are searched for the desired word stem. Good to know: The search function is of course limited to the individual permissions of academy members. This ensures that in the results no contents will be shown to which the member has no access. Pay attention: The search function is based on a search index in the academy language, which has been set as a standard by your academy manager. The search index is language-specific in order to optimize the search. Here is an example: While you probably will not search for the word “die” (meaning “the”) in a German academy as it does not contain any search-relevant information, in English, “die” is a meaningful word and therefore also stored in the search index. 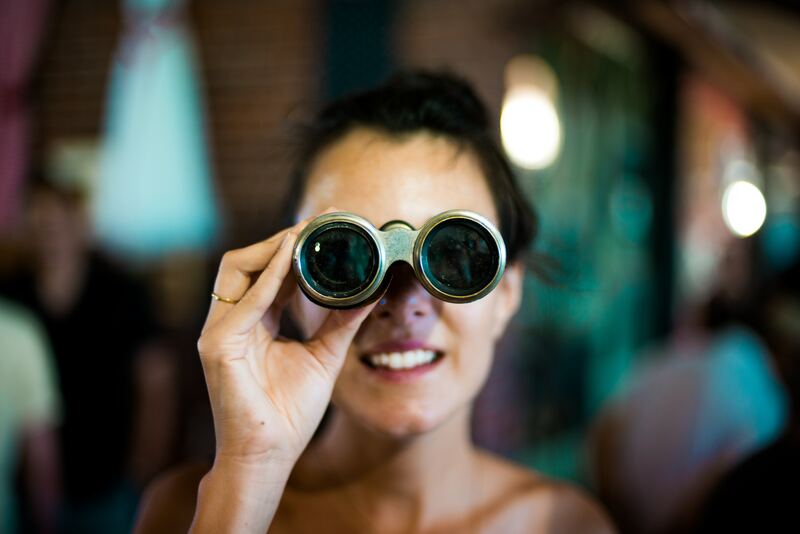 Access the search from any page: Simply click the magnifier next to the profile picture. 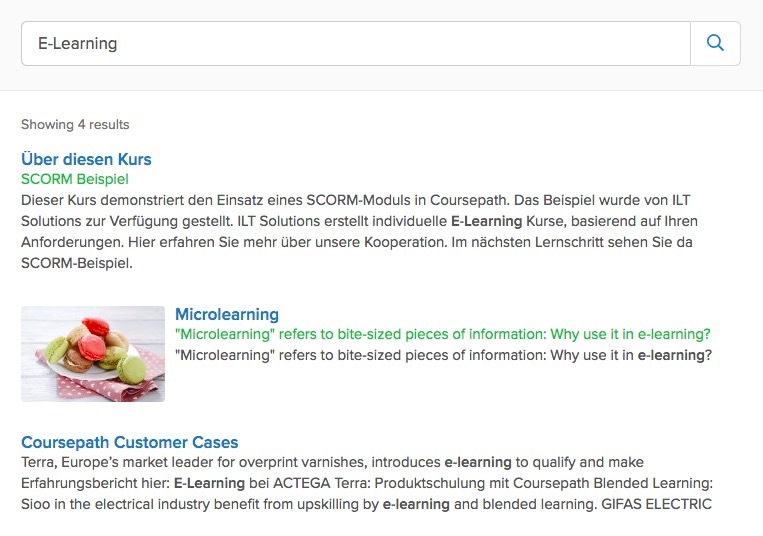 The special feature of the search function: In addition to academy pages, course names, and contents of individual learning steps, documents which are stored as attachments in courses are also browsed. The full-text search, for example searches handouts in PDF format, tasks in Word files, and even notes in PowerPoint presentations, which are provided to participants for download. 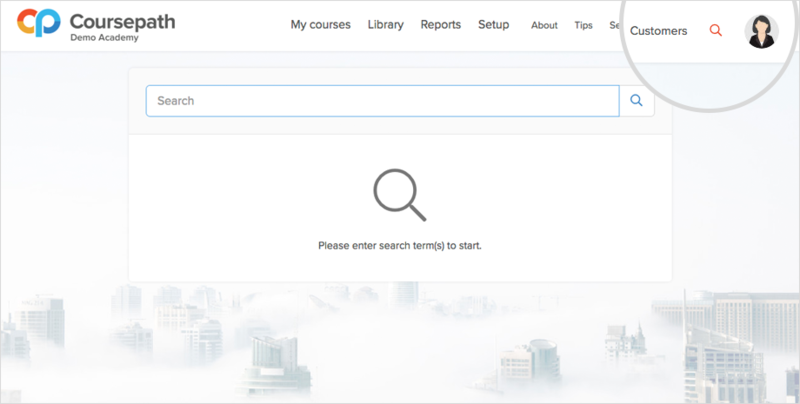 Full-text search in academy language: Simply enter a term and Coursepath will browse the academy. Interested in the search function for your academy? Contact us via info@coursepath.com or phone +49 (0)221 828 293 64 and we will enable the feature for you.